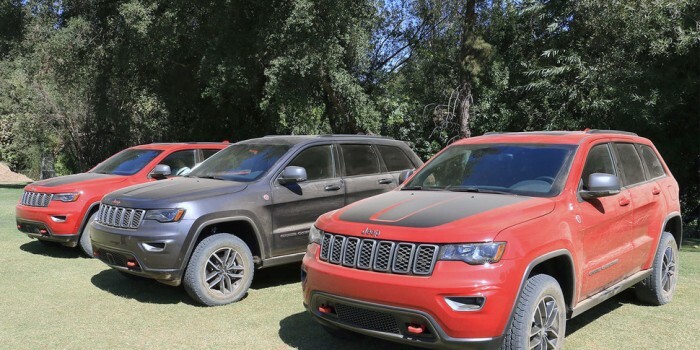 Jeep touts this new Grand Cherokee Trailhawk as being the most off-road focused Grand Cherokee they’ve ever rendered. And hitherto with the crafty implement of different technologies, its on-road action- a characteristic that are frequently at odds with off-road prowess- is not all that different from the more pedestrian different versions of the Grand Cherokee. The fundamentals of the package include a specially tuned copy of Jeep’s Quadra-Drive air suspension that’s been built in for added offroading, Quadra-Drive II four-wheel-drive organization and an electronic rear slip differential. The tires are supplied by Goodyear, Model: Adventure all-terrain incl. Kevlar reinforcement. Hill ascent and descent is also part of the deal. 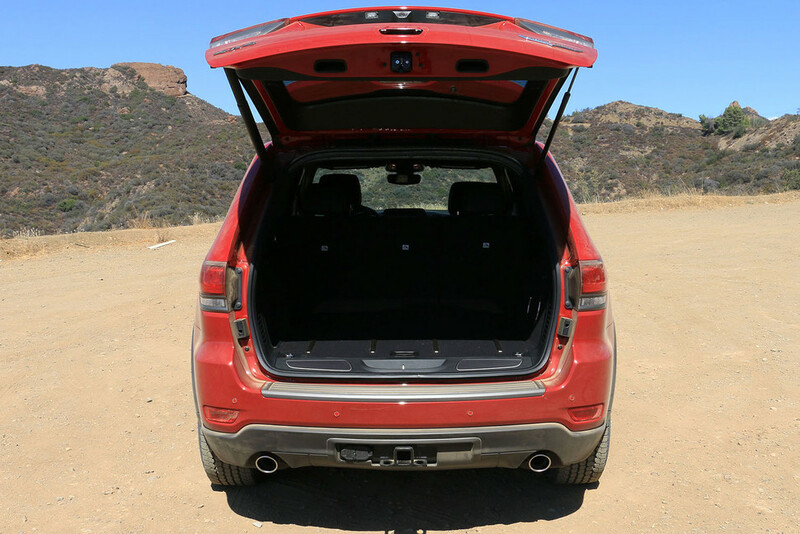 Ground clearance is identical to other Grand Cherokees gave with the air suspension system at 10.8 inches. 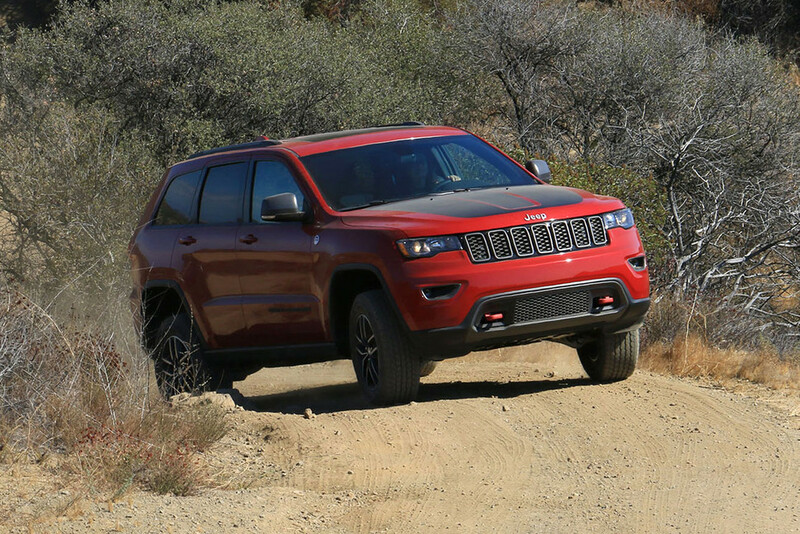 Jeep explains that the Trailhawk has a standard approach angle of 29.8 grades. When the front fascia is removed this will add additional inches to a total of 36.1″ Break-over angle is reached at 27. 1 grades, while the leaving inclination is 22. 8 degrees. Solid considering we are here in the Pacific Northwest, and a lot of our customers in Puyallup and Olympia taking their 4×4 out to trail cruise the beautiful state of Washington! 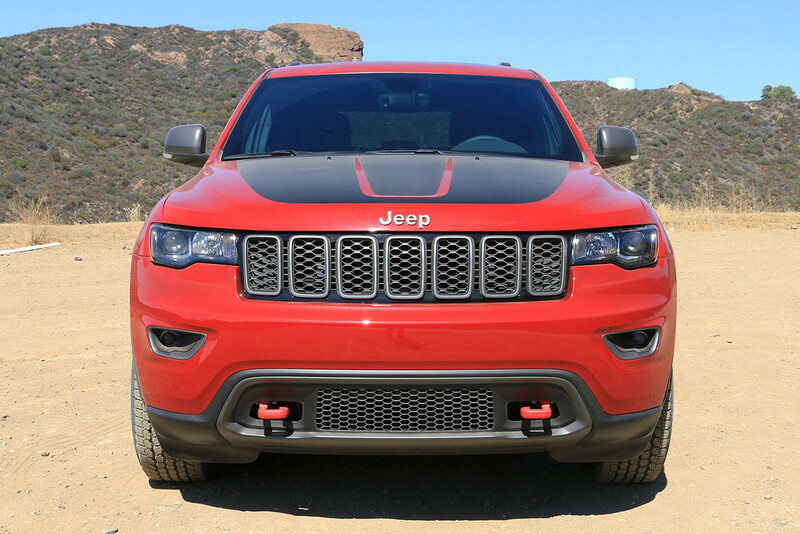 The Trailhawk visually seen, sets itself apart from other Grand Cherokee “partners in crime” by adding an anti-glare bonnet decal, bright red tow hooks, unique 18 -inch and optional 20 -inch rims, grey mirror housings and of course the official Trailhawk badging. 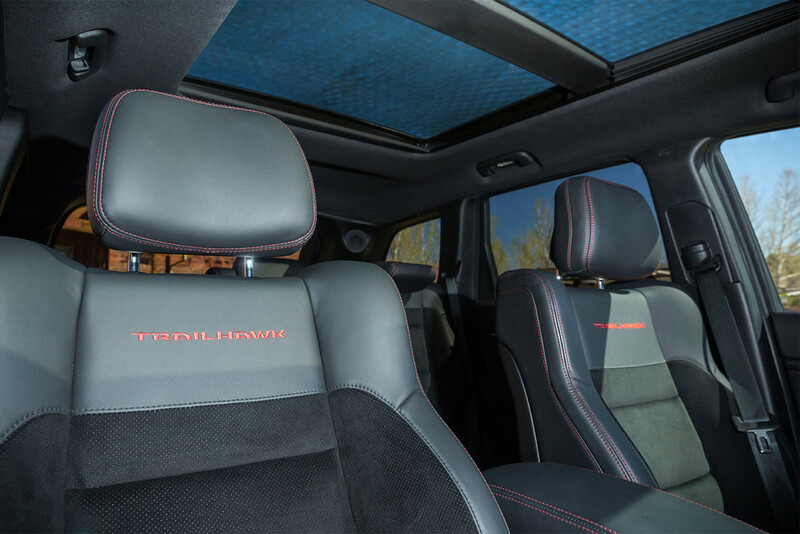 Exterior: Practical, red stitched, Alcantara-trimmed sport seats, and gun-metal accents will make the Grand Cheroikee Trailhawk look different than his cousins. 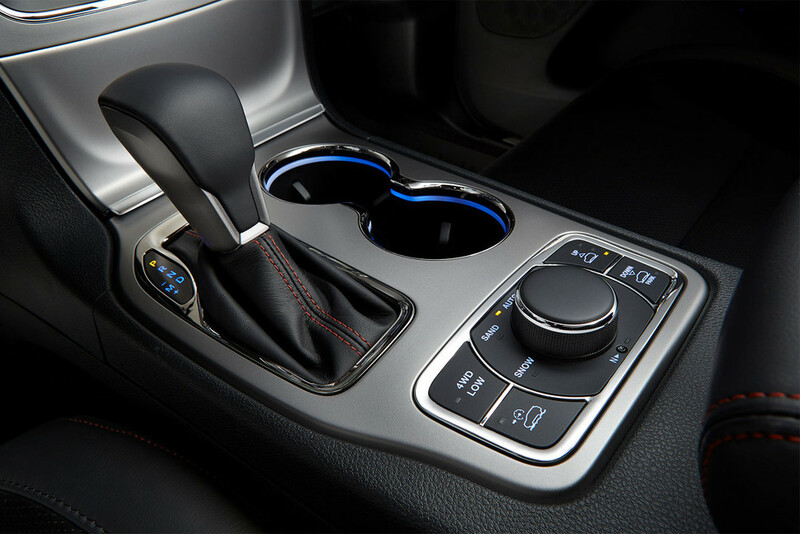 Inside and out, the Grand Cherokee Trailhawk seem to have a winner functionality above anything else. 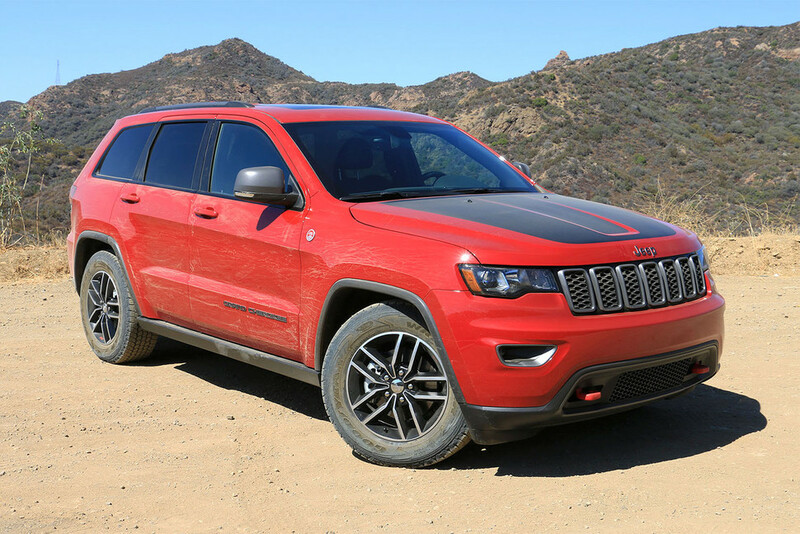 The Trailhawk Trim Line equipped Grand Cherokee seems to serve one particular message: Back to the Roots – Back to Jeep’s original mission statement, which results in -> Purposefulness above all else. 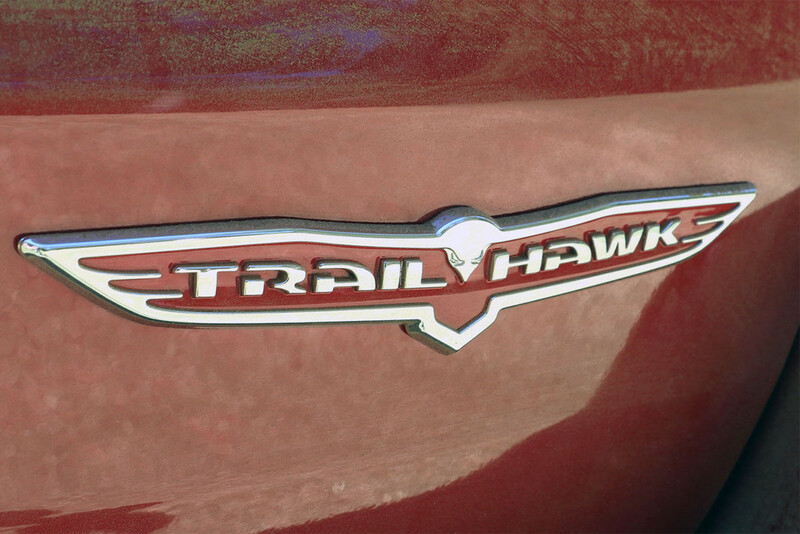 The Trailhawk has a home known as tracks and trails where regular roads are ending. 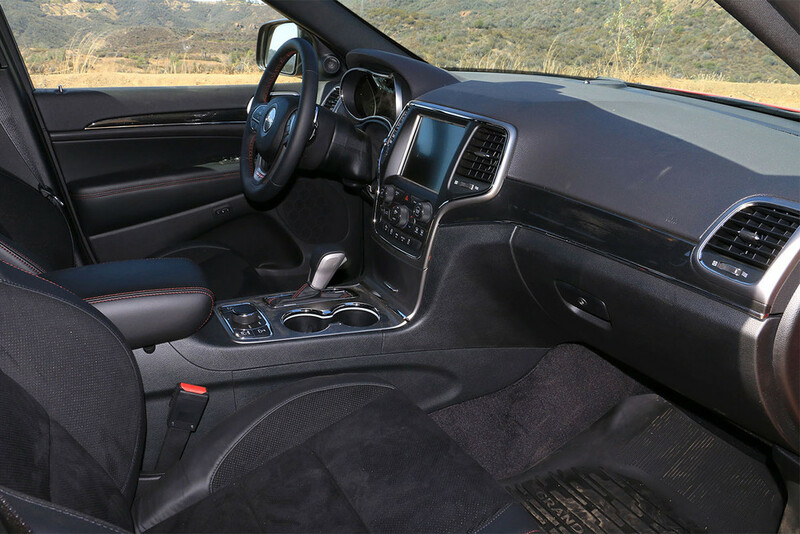 To find out more about the all-new 2017 Jeep Grand Cherokee Trailhawk please visit our website at http://tacomadodge.com or give us a call at (253)475-7300 and schedule a test-drive of this new “rare” species of true SUV’s.